Cory Kruse manages and drives all corporate operations and talent acquisition strategies, as the President. Partnering with other members of the executive team, Kruse is constantly striving to evolve and enrich recruiting strategies and product offerings, improve client and candidate relationship management, drive new customer acquisition, and enhance the overall architecture, management and delivery of talent acquisition services. 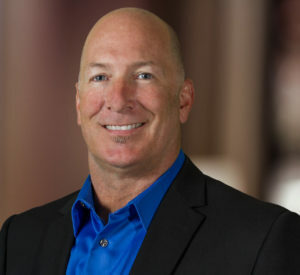 Kruse brings to Orion Novotus over 15 years’ experience guiding top-tier companies and managing talent acquisition programs, leading both national and international RPO engagements for companies such as Superior Energy Services, Vignette Corporation, Gevity, KB Home, and Intuit. As an accomplished recruitment strategist and fulfillment expert, Kruse brings a unique blend of strategic, technical, and operational strengths which has driven notable growth in environments ranging from start-ups to enterprise solutions for Fortune 100 companies. Kruse was a key member of the management team at Agere, which went from initial funding to an acquisition by Lucent Technologies in just 18 months and ultimately spun off as Agere Systems, later merging with LSI. Kruse’s strategic approach and “realist” attitude have been reflected through architecting and delivering the best in class solutions for clients and are followed by an exceptional track record of improvement and efficiency.Kruse has a relentless passion to blaze trails and develop the people, processes, and technology to deliver the correct solution through innovative RPO Services. The Evolution of Recruitment Process Outsourcing (RPO): What’s Next?